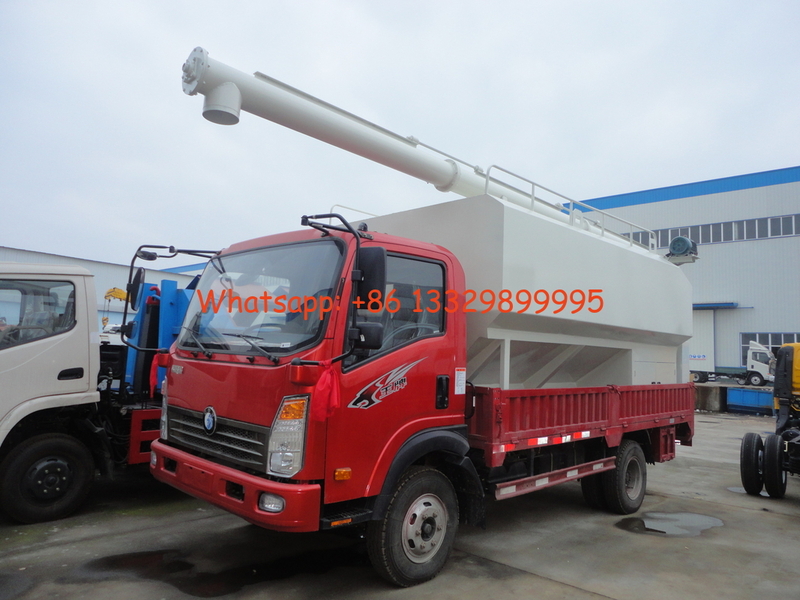 power auger feed truck is also called bulk feed tank, livestock and poultry transportation feed tank, animal feed truck, Feed transportation tank, feed pellet truck, animal food transportation truck, bulk feed delivery truck, farm-oriented bulk feed tank trailer, Bulk-fodder Transport Truck for chicken, bulk granulated feed transportation truck, truck for transporting bulk granulated feed for animals, bulk feed trailer, etc. 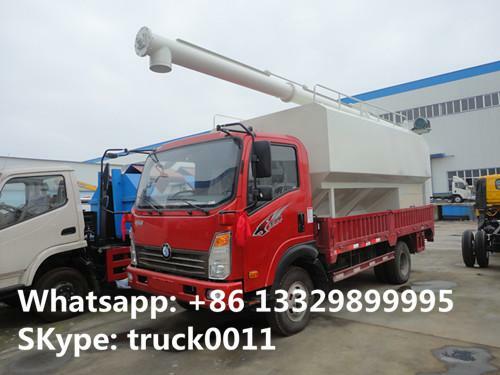 If you're interested in our bulk feed trucks, please send email to szhj9999@163.com or talk to Anita by +86 13886878855. 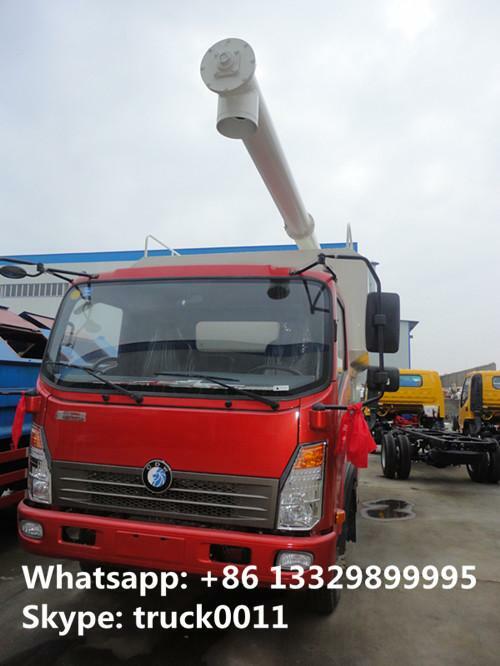 SINO TRUK Wangpai 22cbm feeds pellet truck, adopts Wangpai original cargo truck chassis, 5300mm wheelbase, 2080mm one row and a sleeper driver cab, Yuchai 160hp inter-cooling Euro 3/Euro 4 engine, 6 speed transmission, 10ton rear bridge, 9.00-20 tyre, power steering air-cut brake, etc. The bulk feed tank volume is 22cbm(and the feed density is from 0.5ton/cbm to 0.65ton/cbm), adopting electronic auger type transferring feeds, putting on 380 Volt three mutually alternate current, then working. Discharging is by electronic motor driven the screw mechanism with high speed, continuous working, highly improving the working productiveness. . The feed tank is usually with 3 compartments, loading and discharging with three different kinds feeds. Simple unit structures. electric cabinet unity is at the rear part of the tank. Easy and flexible to operate and maintenance.